Want to keep your new Toyota truck, car or SUV running smoothly and efficiently for years to come? 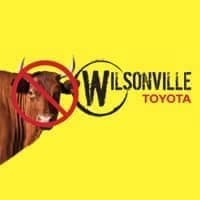 We do as well, and that only requires visits to our Toyota service and auto repair department in Wilsonville, OR for routine maintenance. Our technicians are skilled and experienced on all of our models, and we proudly serve the entire Wilsonville and greater Portland, OR area as well.For more detailed information about all the excellent services our maintenance department is capable of, fill out our contact form today. We will confirm your appointment in a timely manner, and you won’t waste any time waiting around for an automotive repair.